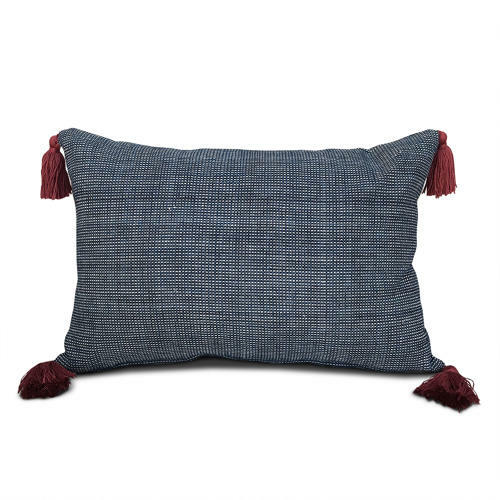 These useful little vintage Shui homespun cushions are in indigo black and white cotton. They are self backed with handmade bamboo claret coloured tassels on the corners. They also have zip fasteners and feather pads.